At Brooks Robb & Callahan, our Plumbing Insurance Policy is available to self employed plumbing professionals (in both industrial and residential sectors), but also small companies and large businesses. Our office is conveniently located in Oyster Bay, NY and has been providing plumbing contractors the best rates since 1971. Having plumbers insurance is mandatory for your protection and that of your clients, but on top of that, it also helps make your company more marketable, reputable and recognizable. When your clients are aware that you carry Plumbers Insurance, they’ll certainly feel safer and more comfortable to hire you. Thousands of plumbing contractors from NY have already considered our policy since it offers them great protection. However, we can also help you customize the right policy for your needs in order to provide the best possible coverage for your business. 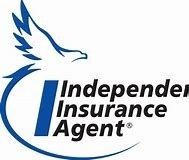 Possibility to negotiate in order to get the right insurance solution that works for your business. A very specific policy that perfectly complements your company’s needs. Our professional and knowledgeable agents are here to help you with anything policy related. The security of top rated insurers. We’ll help you every step of the way in order to ensure you get the policy that best fits your needs. Our certificates of insurance are also issued in just 1 hour! To learn more about Plumbers Insurance in NY, call us at 516-922-6500 or fill out our online form to receive a free quote!